To a genealogist who is also a huge Harry Potter fan, the recent news from J.K. Rowling has been very exciting. According to a short story posted to her website, the origin of the Potter surname has deep roots in twelfth-century England. According to Jo, Linfred of Stinchcombe was “a vague and absent-minded fellow whose Muggle neighbours often called upon his medicinal services. None of them realised that Linfred’s wonderful cures for pox and ague were magical; they all thought him a harmless and lovable old chap, pottering about in his garden with all his funny plants.” As a result, his nickname “the Potterer” transformed into the surname Potter. Yet the surname does not have the meaning that I was expecting. You see, as a genealogist, I’ve run across several types of surnames in my research – occupational, geographical, descriptive, patronymic, etc. So, based on my time as a genealogist, I assumed that the Potter surname was an occupational surname. Since the surname Potter takes its meaning from “one who made crockery, metal pots, and even bells,” the choice seemed appropriate. Cauldrons are essentially metal pots, so I could see how the Muggle world would pass off a wizard or witch as someone who made crockery – especially if that wizard prepared medicinal potions for his Muggle neighbors. But maybe my supposition was too weak; maybe J.K. Rowling wanted the name to be more believable, more credible. If that was the case, Linfred of Stinchcombe should have adopted the surname Leech, the occupational term for a doctor or physician. Because Linfred provided his neighbors with medicinal services, it would have been very plausible for the community to give him this occupational surname. So should it have been Harry Leech, and not Harry Potter?? Since J.K. Rowling is meticulous in her writing (I wrote a blog post about the Potter-Black family tree last year), I wondered why she chose to use a nickname rather than using Potter or Leech as an occupational surname. After pondering this issue for several hours, I came to the conclusion that J.K. Rowling is much smarter than me (not really news, I already knew that). 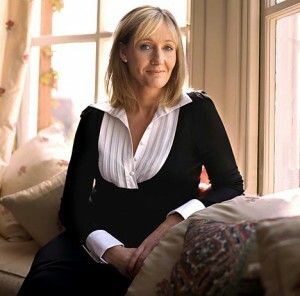 If she gave an occupational surname to a witch or wizard, it would have been necessary for them to have a Muggle job. Since witches and wizards do not have Muggle jobs (I could think of only one instance where one did), the community would have used a nickname to distinguish the head of the family. This may even explain Sirius Black’s surname, as nicknames were also derived from a person’s appearance. Thankfully, J.K. Rowling took the time to work out this surname story. And I am forever grateful, because I couldn’t imagine a world without Harry Potter. So now the question becomes: who has ancestors hailing from Stinchcombe in Gloucestershire? You could be a cousin of Mr. Harry Potter! John Titford, Penguin Dictionary of British Surnames (New York: Penguin Books, 2009), 367. Information on Stinchcombe is rather sparse. No real history, can’t even find anything on the parish church, St. Cyr, prior to the construction of the present building in 1855. No Domesday entry. It’s interesting in light of the healing vocation of “Potterer” that the village has associations with William Harvey, of blood circulation fame, and Edward Jenner, of smallpox inoculation. See: http://www3.telus.net/public/waves2/Index.HTM. Anyone else find anything interesting? The Family History Library microfilmed the Bishop’s Transcripts 1606-1812 and Marriages at Stinchcombe, 1583-1812. If you have ancestry in this area, these films may prove useful. For fun, I looked at the Gloucestershire, England, Baptisms, Marriages, and Burials, 1538-1973 database on Ancestry.com. A few hits came up for the Potter surname, including Hannah Potter, daughter of John and Catherine Potter, baptized 25 March 1716 in Stinchcombe. I am curious why J.K. Rowling chose this location. Maybe you are on to something with the medical connection. Any other ideas?